The better choice for home or commercial clean out services is JDog Junk Removal Capital Region. Locally owned and veteran-operated since 2011, we're your go-to source for property cleaning services from appliance removal to electronics disposal to foreclosure clean out assistance and more. We pride ourselves on military precision for your residential or commercial garbage removal, working quickly and effectively to take great care of your space. Plus, we provide fair and transparent junk pickup prices. Estimates are free on all of our clean out services, and they include all costs for both labor and removal. Come experience the smarter way to combat your clutter. Call us today for rubbish removal service at some of the best rates around! Who you use for junk removal matters more than you might realize.  In the hands of JDog Junk Removal Capital Region, both your property and your discarded items will be treated right. We're a fully insured junk hauling company with five years of experience in the trade. We're also a member of the Chamber of Commerce in numerous localities, a member of the Small Business Strategic Alliance, and a member of the National Marine Corps Business Network and Unified Military Affairs Council. You can count on us to serve you and your property with the highest measure of pride. JDog Junk Removal Capital Region is Schenectady's answer for prompt, professional junk hauling. Owned and operated by local veterans, we make any junk removal job easier with our straightforward pricing and quick turnarounds. We're here to help with rubbish removal, scrap metal pickup, and other property cleaning services large or small. We're also properly insured for your protection.